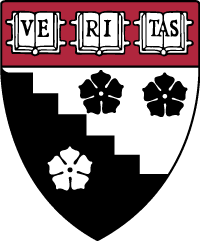 A joint program of the Harvard Graduate School of Education (HGSE) and Harvard Business School (HBS), powered by HBS Online. Learn and apply a framework for building and distributing leadership in your school. Operationalize the fundamental belief that it is the principal who can and should set the culture of a school. Develop the knowledge and skills to lead a diverse school community that supports all students in reaching their potential. Learn how to establish a sense of urgency, craft and communicate a strong vision, and actively shape your school culture to support your most important work. Explore equity challenges and priorities in schools today. Cultivate the mindsets and expectations that promote excellence for all. The Certificate in School Management and Leadership (CSML) is designed to provide preK-12 school leaders at all stages of their careers with frameworks, skills, and knowledge to drive change and to lead high-performing schools. 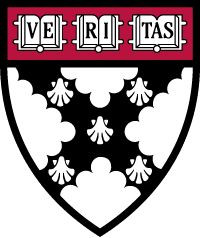 An innovative collaboration between the Harvard Graduate School of Education (HGSE) and Harvard Business School (HBS), the program integrates distinctive capabilities from both schools, combining expertise in managing teams and organizations with a commitment to school and instructional leadership. All courses in the CSML portfolio will be offered on the highly interactive Harvard Business School Online platform, created by HBS for an active, social, and case-based online learning experience. Since 2014, HBS Online has engaged more than 20,000 learners from 100 countries in its innovative learning model. CSML courses feature faculty members from HGSE, HBS, and other Harvard schools, principals and educators from across the United States, and leaders in fields outside of education. The platform supports peer-to-peer learning as a key component of the CSML experience. All learning materials will be provided through the platform. CSML is intended for principals looking to deepen their knowledge of leadership and management in schools. It is perfect for early career and experienced school leaders, including teacher leaders responsible for supporting and managing teams of teachers or other school staff. The course is also a good fit for district, charter, faith-based, and independent school leaders.